I have found this in my makeup storage and have never opened it and thought that this is a good chance to try it. I have then noticed that this eyeliner is now discontinued but you can still purchase it on eBay if you want to try it or stock up. 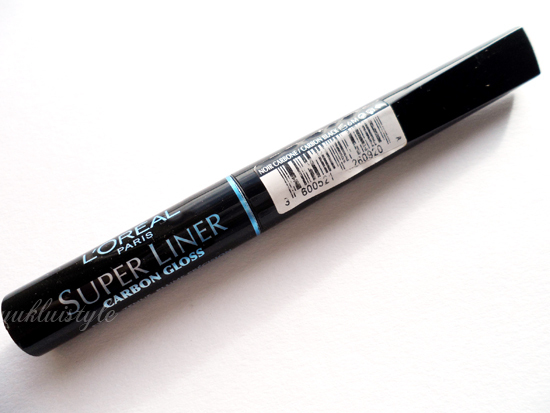 Has a sponge tip for easy control which is a great eyeliner for eyeliner novices. 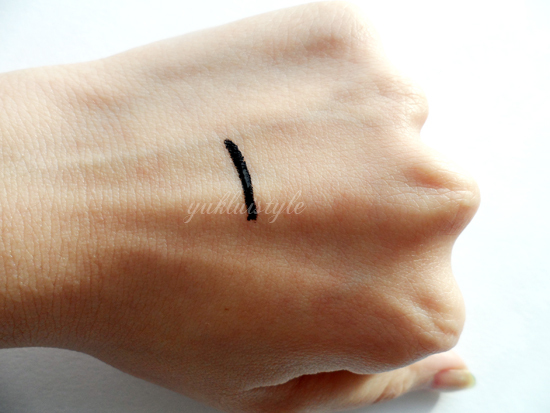 The sponge isn’t flimsy therefore you are able to control the thickness of the eyeliner. I was surprised at how black this was. 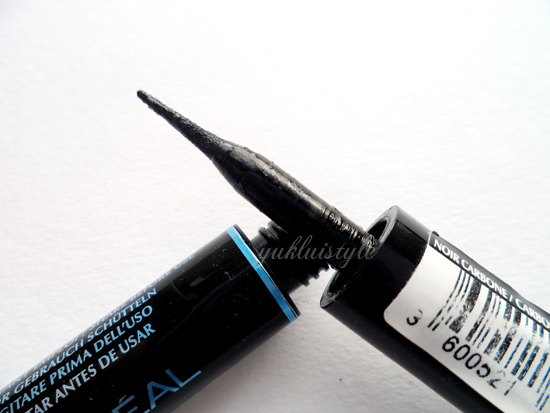 Probably the very few drugstore eyeliners that were this black. It gave a nice glossy finish. When applying, it didn’t bleed and had dried quickly. This was long lasting and had lasted on my eyelid for the majority of the day. I have noticed that if it does slightly touch and wetness, it will disappear. I yawn quite a bit and get watery. It’s easy to get it out of your bag and reapply without a fuss. If this was waterproof, it’d be perfect then I’d repurchase it. It’s a shame that it is discontinued. 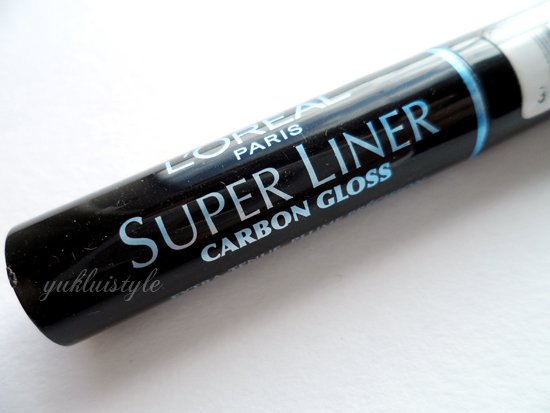 L’Oreal does still have their original Super Liner (gold packaging) that can be bought in stores. The tip reminds me of maybelline's stielleto eyeliner. Have you tried that?